The only place i will eat oriental food !! this is the only place I dare to eat oriental food here in Watertown. its delicious and you get a lot of food for the money !! Ordered jumbo shrimp with mixed vegetables. On a scale of 1 to 10, I would say 5. It is okay to try out for once, will try something else next time I stop by in Watertown. SERIOUS CHINESE FOOD GOING ON! BY FAR THE BEST ASIAN IN TOWN. Every order from here has been fresh and delicious. They are fast, and will customize your order to your liking. This is far and away the best option for Chinese in town. 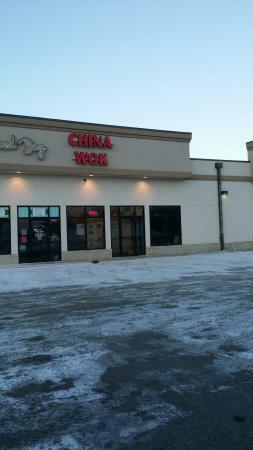 This is definitely the best Chinese food in town, not that there is much competition. But I'd highly recommend calling your order in. Phone calls are taken over customers standing in line. Why wait if you don't have to? Very clean, very good service, very good food!!! Will go back and recommend!! Took home enough for lunch tomorrow!!! Very pleasant staff willing to help understand the options! They are very inviting and very polite. Everything we have had has been amazing! Chicken chow mein, Moo Goo Guy Pan and Generals chicken to name a few!! You must try it you will be impressed!! The food is always fresh fast service , very clean restaurant. I call ahead and is ready to go when I get there.